Extremely powerful, all natural joint and muscle pain salve. Handcrafted with freshly infused herbal oils and local beeswax. Also a strong anti-fungal. 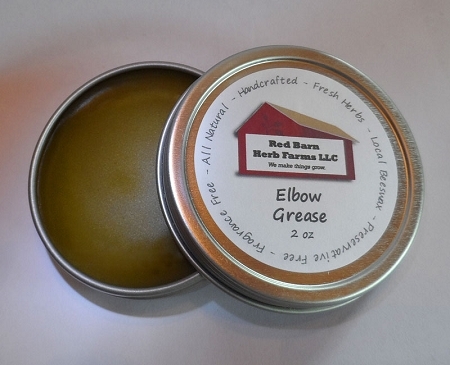 Our Best Selling Salve! Ingredients: Organic Extra Virgin Coconut Oil, Organic Extra Virgin Olive Oil, Arnica Flower, Alfalfa Leaf, Chaparral, Slippery Elm Bark, Solomon's Seal Root, Comfrey Leaf, Cayenne Pepper, Beeswax, with Oils of Black Pepper, Rosemary, Lavender, & Peppermint. 2 oz reusable twist-top tin. Not for use on broken or abraded skin.